The year is 1664, and Benny Wand, a young thief and board game hustler, is arrested in London for illegal gaming. Deported to the city of Port Royal, Jamaica  known as the wickedest city on earth”  Wand is forced by his depleted circumstances to join a raid on the Spanish city of Villahermosa. The mission is a perilous success, and Wand attracts the attention of the mission’s leader, an up-and-coming Welsh seaman, Captain Henry Morgan, whose raids on Spanish strongholds are funded by the British government. While embarking on a campaign in the Caribbean, Morgan forms an unlikely friendship with Wand through their shared love of chess. Yet as Morgan becomes morally corrupted by the increasingly sordid attacks, he slowly transforms into Wand’s greatest enemy. To defeat his former ally, Wand embarks on a strategic battle of wits with Morgan, only to discover that if he wants to break free of his friend, he’s going to have to help him in the most savage and unexpected way possible. 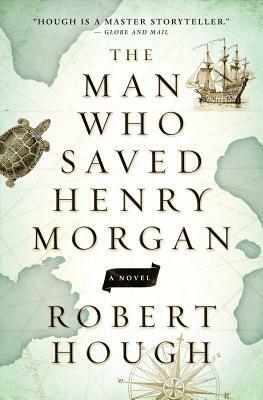 Bawdy, philosophical, and darkly humorous, The Man Who Saved Henry Morgan is storytelling at it’s best.